FPMag.net – Feminine-Perspective Magazine – Photo Art: by Rosa Yamamoto – “It’s the Milky Way,” she says. Our Galaxy and our Earth. Let’s take them back from the patriarch. The fight for women’s right to freedom, equality and safety is hampered anew by not just traditional despots and religious extremists but by the US President Trump. A misogynist patriarch in Washington DC has denied women’s reproductive health & human rights and ended its nation-state human rights analysis of maternal mortality & failed contraception needs around the world. 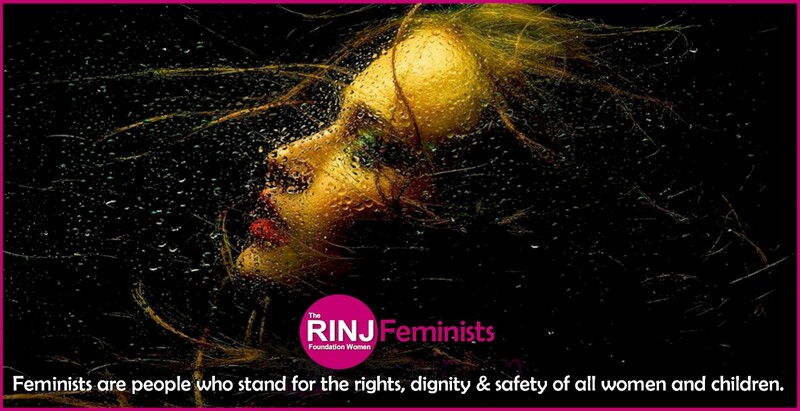 That’s why The RINJ Foundation Women are asking for your help. Many Americans do not support this. The USA Trump Administration is accused of attacking Civil Society for helping women. RINJ urges people to think for themselves. Enabling women’s reproductive rights positively impacts universal human rights. It also enhances the economic outlook significantly. Feminists can make you rich. Help The RINJ Foundation Women do that. I have been writing about the RINJ ladies around the world, too seldom anymore getting out there to meet them. We talk, write, I learn what they are doing. I eat a nice meal while reading a book and they scramble between passing out medicines, handing out water, carrying big heavy packs to remote areas and sharing their rice with hungry kids. So here is a word from our sponsors. They would like your help as so many this weekend start out to walk into another strange place where guns, floods and disease rant, and they with a song and a prayer do the work of angels. Note: Bulk donations of food/medicine are needed in many countries. Contact RINJ. RINJ Sexual Assault Clinics (RSAC) and all public services are provided FREE. Volunteers are needed in Yemen, Venezuela, Philippines, and soon, South Sudan. Volunteer today. Help get a lot of medical supplies into the hands of nurses in all the places they are needed. For an INTERAC email transfer all you need is access to online or mobile banking through a participating Canadian financial institution, and you can send money without sharing any personal or financial information. This means that RINJ is a “qualified organization” exempt from federal income tax. The RINJ Foundation does not promise, adduce, undertake, guarantee or in any way imply that by making a donation you will benefit from tax credits, tax deductions or any compensation whatsoever, regardless of country. Please check with your tax advisor. View our Charter Information and Policies. If you do not know or understand the tax deductions allowed in your country for a donation to The RINJ Foundation in Canada, please consult your taxation advise provider. Some people who know the organisation do specify where they would like funds to go. 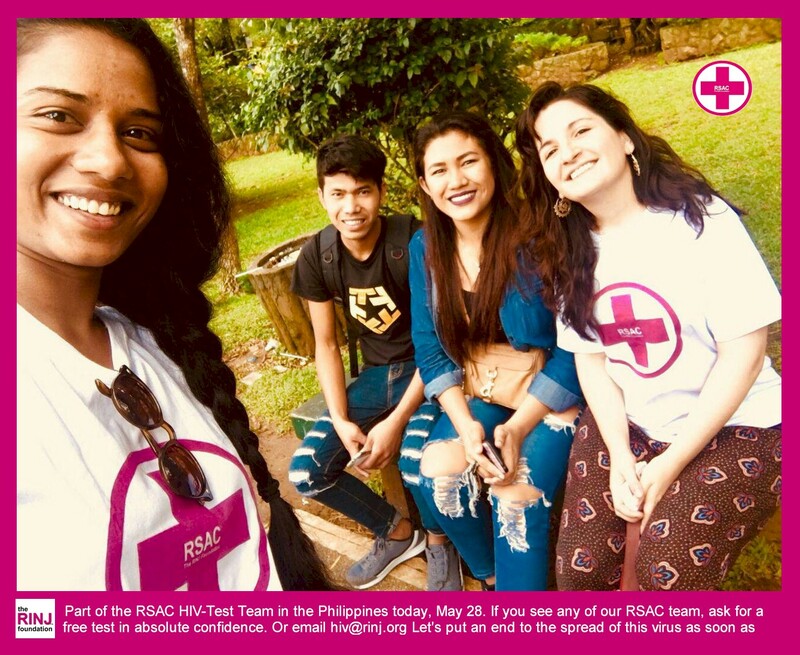 For example if you add a note “HIV” 100% of your gift will go to purchasing the free HIV self-test (blood test not saliva) kits we provide patients in developing nations. Generally, all personal donor funds are used to purchase supplies. Once the cost of processing your donation is paid and the net amount is deposited in our Royal Bank of Canada account, more than 90% of your donation reaches women and children in need. The remaining 10% pays administrative costs like phone bills, bank fees, internet bandwidth (which is how you are reading this). The vast majority of RINJ workers are unpaid volunteers, interns, and exchange program workers. Check our Security Encryption Verification.